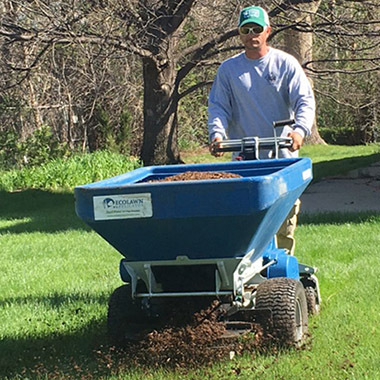 We have not found a better way to build the health of our lawns then top dressing with compost. The volume of organic material added to your lawn once or twice a year improves the soil. 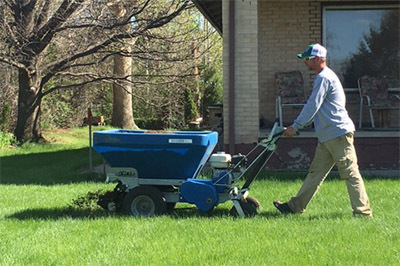 The better the health of the soil, the better the health of the lawn. Top dressing with compost is the best practice to improve soil! We have been promoting this application for some time now. We keep finding University studies throughout the country confirming and backing research. Listed below are just some of the benefits of composting your lawn. This application can be combined with overseeding and heavy aeration to compound benefits. To schedule a visit for your area, call (303) 279-1910. You can also request a free estimate by filling out our online form.